Arion junior 30/14 is a complete food for puppies of all breeds. Is designed to achieve a harmonious development of the puppies from 2 months to 12 or 18 months of life, depending on the race. Large breeds and giants finish the development later and, thus, must continue to consume Arion junior until the end of its development. Ingredients: cereals (rice min 5%), and derivatives of cereals, meat and meat products of meat (chicken, min 17%, hemoglobin min 5%), oils and fats (animal fat), derived vegetables (beet pulp), fish, soya lecithin, yucca. Description: Arion Friends Junior Arion junior 30/14 is a complete food for puppies of all breeds. Is designed to achieve a harmonious development of the puppies from 2 months to 12 or 18 months of life, depending on the race. Arion Original Adult Salmon&Potato provides meat salmon 100% natural as only source of animal protein. For it is specially indicated for dogs with allergies, atopias and food intolerances, or those with sensitivity digestive. 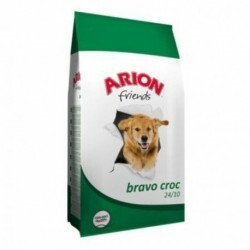 Arion Friends Bravo Croc 24/10 is a complete food for maintenance of adult dogs. Its formula, based on chicken, it ensures a palatability excellent in a product with the best quality/price ratio. Arion Friends Lamb & RiceArion Lamb & Rice Multi-Vital 28/13 is a complete food maintenance for adult dogs. 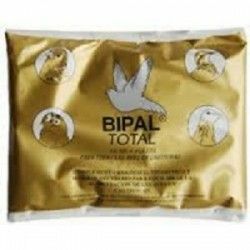 In its composition incorporates rice and lamb as a source of animal protein, which makes it highly recommended for dogs with sensitive digestive and for the care of the hair and the skin. Food for dogs with a contribution of 30% protein and 16% fat (30/16). Thanks to this composition and to the ingredients used we can say that I think Arion Winner is a food high energy for dogs. Arion fish&rice vital 26/14 is a complete food for maintenance of adult dogs. To incorporate tuna and rice in your composition, it is especially suitable for dogs with sensitive digestive and for the care of the skin and hair due to the high contribution of fatty acids omega-3. Arion Original Puppies Small Breed Chicken and Rice Arion Original Puppy Small Chicken & Rice is a feed with high protein levels, led to puppies dog breeds small (1-10 kg at adult age).